The name hardly serves to capture the greatness of this Trio of Virtuosos. Jack Bruce, Eric Clapton, and Ginger Baker. Three musical geniuses with masterly abilities, an abundance of raw talent, and incredible technical skill. CREAM comprised the three most talented musicians of the 1960s blues and rock scene; they were truly the Cream of the Crop. CREAM revolutionised the sound of electric music forever. Though well known for amazing studio work (such as the classic, sophisticated hits I Feel Free, Sunshine of Your Love, and White Room, not to mention the world's first record ever to go platinum, the 1968 Wheels of Fire), CREAM's hallmark sound developed and shone through during their high-powered live tours. Bringing a touch of jazz to old blues standards and the psychadelia of the 1960s, CREAM would play extended solos which sometimes lasted for more than 20 minutes. But their live sets were more than just long; during a hectic tour schedule, CREAM developed a form of communication between musicians which was hitherto unheard of. Employing great improvisational skill, CREAM unlocked the doors to the pent-up energy of a new approach to music. Though CREAM's meteoric life would not last for three years, the Power Trio would contribute greatly to the evolution of electric music. Not only did it pave the way for the hard rock of Jimi Hendrix and Led Zeppelin (and the ugly heavy metal spawned by late Zeppelin and future heavy metal groups); it also made possible the phenomena of electric jazz and progressive rock, such as John McLaughlin's Mahavishnu Orchestra. 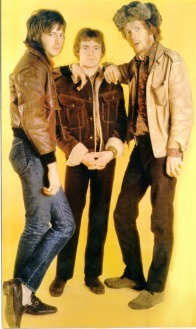 CREAM encouraged musicians to seize the limelight and introduced the very concept of the Power Trio. It broke the barriers of the pop-rock song form to bring respectability to musicianship. Though Clapton was to become the best known of the three musicians, CREAM were a group of equals. Clapton had long been recognised as a genius of modern blues guitar. His masterful solos floated over the powerful pumping of Jack Bruce's electric bass and the rolling sea of percussion that is the trademark sound of Ginger Baker. All three musicians soloed simultaneously during live sets, drawing from one another's energy. Lyrics and vocals played a minimal, if not inexistent role on stage. After establishing a basic rhythmic pattern and singing a verse or two, the group would dive face first into extended, complex, interactive musical free-for-alls. Clapton described CREAM's live sets as sometimes teetering on the brink of open warfare. The world trembled. Music had never been played before in this manner. Only the three most skillful and concentrated musicians could make such music work without letting it unravel into loud, incoherent noise. 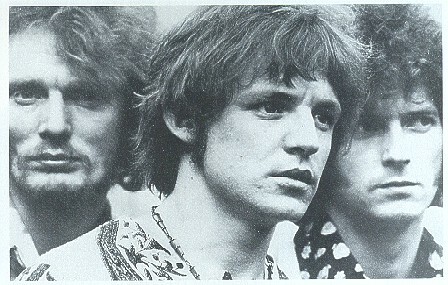 CREAM were an elite task force of professional musicians. Both having come from jazz backgrounds, Bruce and Baker often varied time signatures and rhythmic patterns during songs while bluesmaster Clapton's guitar wailed; Bruce, hailed as one of the most powerful singers in rock, would work with Clapton to compliment the structure of his phenomenal guitar solos with what was undoubtedly the greatest bass playing of the time. Baker, who is arguably the single greatest drummer in the history of the rock genre, echoed Bruce's bass work with the most skillful rolls and fills, bringing jazz technique to the world of blues-rock with great efficacy. No single member of the band dominated over the others. As the lead vocalist, harmonica player, and main composer of CREAM's material, Jack Bruce was closest to being a front man for the group. Jack proved to be a masterful composer, and was without doubt the greatest bassist of the time, a true pioneer. But the musical personas of Clapton and Baker were much too prominent to be overshadowed. 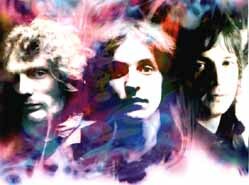 CREAM consisted of three musical masters who, when playing with one another, would never feel the frustration of being restricted to working with lesser talents. The stage would serve as a musical battlefield for three players with vast differences in personality and background. It was these differences which would fuel the flames of the fire that was the improvisational glory of CREAM.